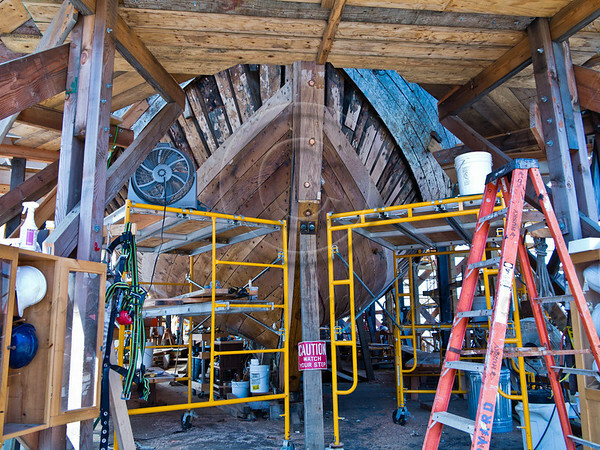 The Charles W. Morgan, last wooden whaleship in the world, is restored in the Henry B. duPont Preservation Shipyard using traditional methods, tools and skills made nearly extinct by steel and fiberglass. Mystic, Connecticut, USA. 21-July-2012.